Tired of election season nonsense? Me too. That’s why I published this book. On and on the rhetoric goes. “Abortion…” “Family Values…” “The Sanctity of Marriage…”Feminism…” The debate is one sided; white men define what the American family should be and condemn women for destroying it. Enter Shannon Drury, feminist and stay-at-home mom. Wait a minute, how can she be both? Because feminism is about choice, and Shannon chooses to stay home with her kids. 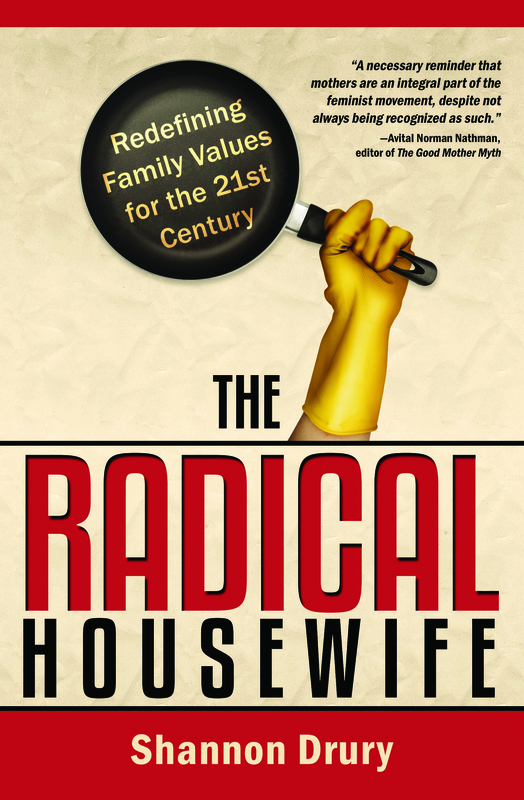 How she made that choice and why she continues to fight for women’s rights is what you’ll discover when you read The Radical Housewife: Redefining Family Values for the 21st Century.